The cake is ordered. The table linens are picked out. The venue is set and the tuxedos arranged. Everything is planned to the letter for the wedding of a lifetime and it is time to have one last hurrah before a lifetime of wedded bliss begins. Philadelphia is the perfect city to enjoy a night out on the town for a bachelor party. We have compiled a list of the best spots to hit, in order, for an unforgettable bachelor party. Stay at The Rittenhouse Hotel. The night is young! 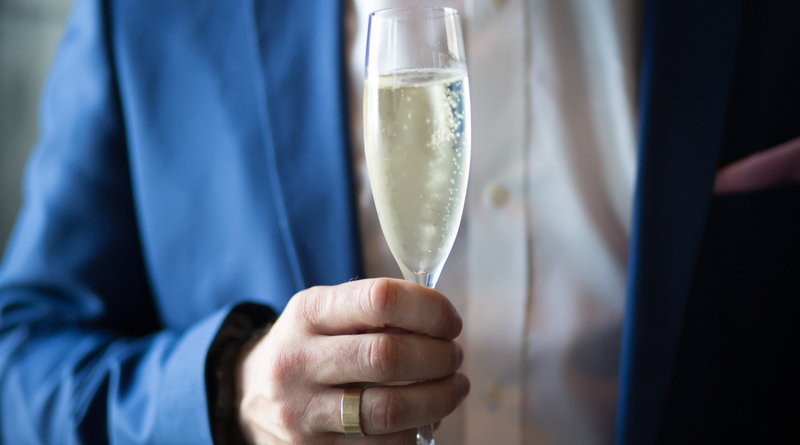 Start off the party in the classiest way possible by booking your rooms at The Rittenhouse Hotel. The stunning rooms are upwards of 600 square feet, and feature marble bathrooms and the most comfortable beds that you will ever sleep in. Before heading out, get a fresh cut and shave at the on-site barber shop, then sip top-shelf whiskey at the Library Bar. This sophisticated hotel is the perfect spot for a gentlemen’s party getaway and is worth every penny. Enjoy a smoke at Ashton Cigar Bar. Whiskey and cigars? Yes, please! 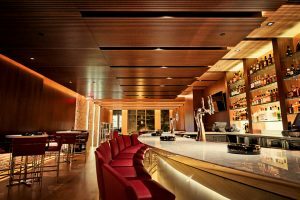 This incredible bar features over 330 different whiskeys to taste and over 100 different types of cigars to sample. This unique bar is one of a kind in Philadelphia: It is the only bar in the city that is legally allow cigar smoking on its premises. Have a party guest that doesn’t smoke? No problem. Their air purifiers are top notch and vent the smoke out to keep all guests happy. Eat a meal at Butcher Bar. If you’re a meat eater, this is the spot for you! Butcher Bar, located a few blocks from Ashton Cigar Bar, has an outstanding food & bar menu. 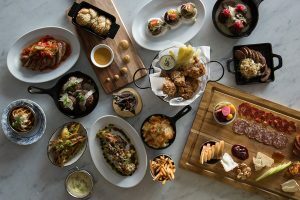 You can even opt for “The Trough”, which consists of rotisserie chicken, assorted house-made sausages, Chef’s choice cut of meat, wild boar ribs, royale with cheese, house-smoked bacon, korean short ribs, house-cut fries, and grilled pita. If you have a larger group of people, they also offer private party menus! 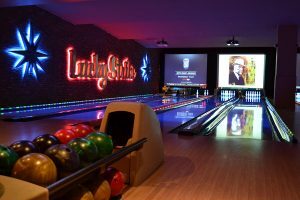 Play some games at Lucky Strike. Grab your buddies and bowl a few rounds, then head on over to the bar area to enjoy a couple of beers. 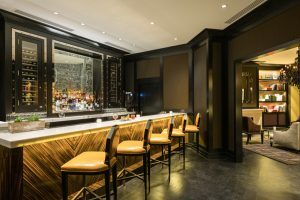 This unique spot is perfect for everyone – the game area and bar are separate so the gents that want to play can indulge and those that don’t can enjoy the great selections at the bar. Did you choose to spend your bachelor party at one of these top Philadelphia spots? If so, contact us to let us know!